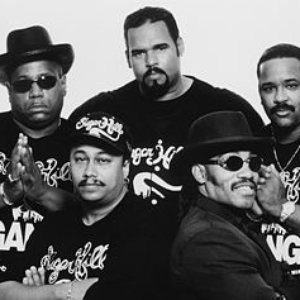 The Sugarhill Gang is a hip-hop group from the 70s and 80s. They are credited with releasing hip-hop's first single to find a mainstream audience beyond the hip-hop scene with their song "Rapper's Delight,", the very first rap song to hit the Top 40. By the mid-80s, the group faded away as the hip-hop scene began to expand and transform itself. Forming in 1979 The members, all from Englewood, New Jersey, consisted of Michael "Wonder Mike" Wright, Henry "Big Bank Hank" Jackson, and Guy "Master Gee" O'Brien.